For ‘tis your thoughts that now must deck our kings. 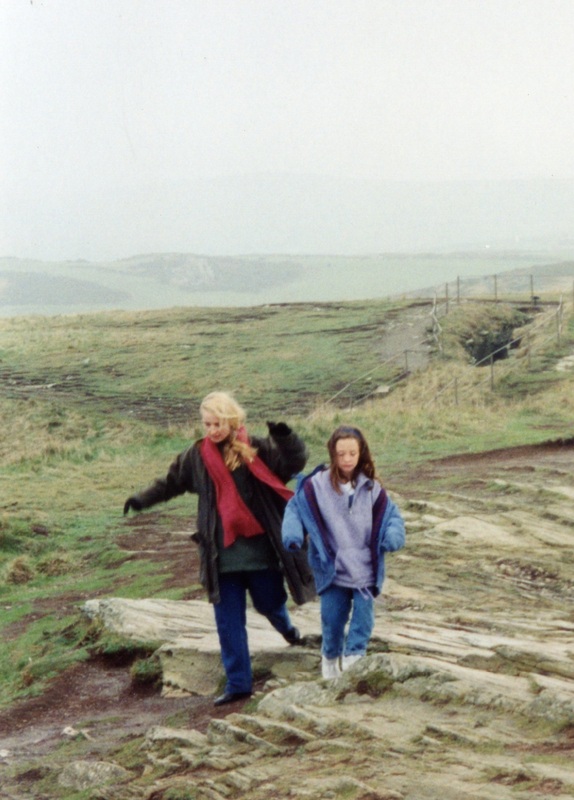 Once upon a time, I visited Tintagel in Cornwall with my small daughter. Full of history and mystery, the cliff side town is steeped in Arthurian legend. As we made our way along the path towards the cliffs and the ancient site of Arthur’s castle, her hand in mine, I heard the sound of galloping hooves behind us. “Look, horses!” I swung her around to see them. The path behind us was empty. There were no horses. Nothing was there. In Shakespeare’s Henry V the famous prologue that begins “O for a Muse of fire” encourages the audience to use their imaginations. To see Kings and Queens, instead of actors, to imagine battlefields instead of a wooden stage. In this collection of 1066 stories, readers are encouraged to go further – to imagine not only histories and fictions, but also alternate pasts. 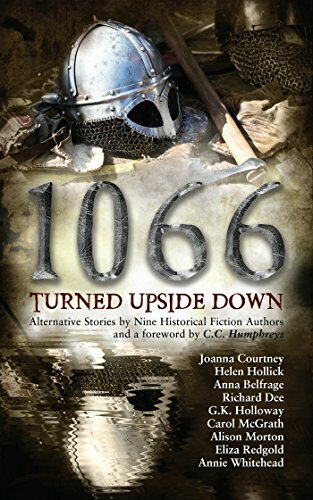 I was so excited to be asked to contribute my story ‘The Needle Can Mend’ to 1066 Turned Upside Down. My connection to the historical period is through Lady Godiva – she of the famous horse ride. In 2015, my historical women’s fiction Naked: A Novel of Lady Godiva was published by St Martin’s Press in New York. So the legend goes, Godiva of Coventry begged her husband Lord Leofric of Mercia to lift a high tax on her people, who would starve if forced to pay. He demanded a forfeit: that Godiva ride naked on horseback through the town. Lady Godiva (or Countess Godgyfu, in the Anglo-Saxon version of her name) was a real person who lived in 11th century Anglo-Saxon England. Yet her myth goes even further back. Her legend has been be transformed again and again, come down to us through the ages in a mix of fact and folk-lore. In Naked, I told Godiva’s tale as ‘herstory’ – from the heroine’s perspective. The historical Godiva would have been alive in 1066, so of course I wanted to include her in my story for this collection. Godiva was the grandmother (or step-grandmother) to Queen Edith, the second wife of King Harold, and may well have figured in 1066 and its political aftermath, or so I imagined. In ‘The Needle can Mend’ I wanted to capture the strength and power of women and the tales they weave. 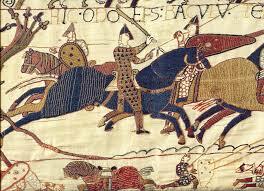 No more is this revealed than in the mysterious fabric of the Bayeaux Tapestry, which depicts the 1066 Battle of Hastings, and stitches together my tale. It is a woman-made work of political art, secret and imagination that has stood the test of time. To imagine is to form a mental image, to think, to believe, to dream, to picture. It is both idea and ideal. Our dreams can take us from small acts of empathy to noble visions of equality and justice. Imagination charges the flame: it puts us in touch with our creativity, our life force. 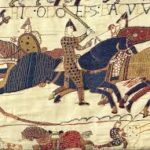 In a world of increasing global conflict, perhaps imagination has never been more important – just like it might have been in 1066. Alternate histories. Alternate realities. Alternate futures.